An American diplomat and self-taught scholar of the history and languages of the Islamic world, John Porter Brown (1814-72) published in 1868 this illustrated account of the Dervish orders of the Near East. Assisted closely by followers of this Sufi ascetic path while in Constantinople, Brown based his research on original Turkish, Arabic and Persian manuscripts. The work also includes extracts from other scholarly works on Dervish history, fleshing out this engaging introduction to a devout way of life and the philosophy underpinning it. 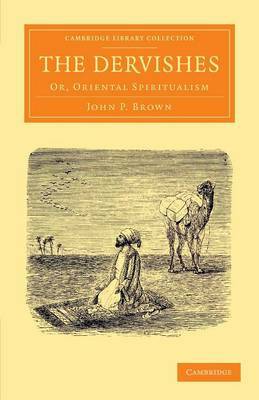 As a Freemason, Brown was struck by the relationship between some Masonic and Dervish tenets, and he highlights parallels between the Christian and Islamic faiths in order to forge a better understanding of the traditions and beliefs of the people of the Near East for the benefit of Western readers.